Bankruptcy for Senior Citizens - Grand Rapids Bankruptcy Attorney - The Grand Rapids Bankruptcy Attorneys at Krupp Law Offices Can Answer Your Bankruptcy Questions. Free Consultation. Senior Citizens often time face financial problems. This can happen for a number of reasons. Medical expenses can be overwhelming for most. Sometimes seniors cannot adjust their spending to a fixed income which results in financial problems. The bankruptcy code only looks at earned income and not social security income to determine if you qualify to discharge your debts. Put another way, if you are on a pension and social security, the bankruptcy court determines that you have no income to pay your debts. They only look at earned income for the means test. As a result seniors almost always qualify for bankruptcy. If you or a loved one is facing financial problems. 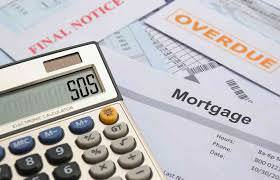 Call our office we can explain in detail bankruptcy and nonbankruptcy options. Free Consultation. Krupp Law Offices, P.C., represents clients in Grand Rapids, Big Rapids, Ionia, Muskegon, Grand Haven, Stanton, Greenville, Wayland, Allegan, Holland, Newaygo, White Cloud, Fremont, Coopersville, Hastings, Middleville, Wyoming, and Rockford, including Kent County, Ottawa County, Newaygo County, Ionia County, Mecosta County, Barry County, Montcalm County, Allegan County, Osceola County, Lake County and Muskegon County, Michigan.